I got a 100$ wine voucher (nakedwines) in my box that i cannot redeem. I saw some review about this voucher saying that you some people get enroled without permission in the wine club (40$/months). What??? Can someone please tell me if this is for sure true?? If it is wouldn’t it be illegal for them to automatically sign us up for something (wine club) without our permission?? I am watching an unboxing of the UK Glossybox and there were two possible boxes. One that said trick and the other that said treat. They are $13 a month plus shipping. Both Trick and Treat seem to have same items. Not sure of variations. See a difference!!! We pay $21 for three full size samples which usually includes a fingernail polish and two samples. Our products are no where near as good. You do the math. LOL This is why I canceled. I like this box but waiting for some sort of coupon/discount. is anyone else getting charged 23 a month (2 dollars extra) in california due to “tax”. I’ve cancelled my box. sick of the run a round customer service. Everybody pays taxes on boxes, what’s your question? California just has higher taxes. I pay $21 per box because I live in Oregon and Oregon does Not have sales Tax. yes they will reimburse you because they’re Telling me it’s tax well tax is not two dollars even and they didn’t let us know ahead of time but you have to stay on the phone and give them a hassle because they don’t have an adequate office department. this box was awful i’m just about out. oh and they forgot to send Me August box altogether but they didn’t forget to charge me. u pay exactly 2$ in taxes. when i called them when i actually got an adult on the phone they said it was a mistake as i guess was forgetting my august box alll together. This place is a mess and this box isn’t worth anything!!!! bummer moving on! Not sure how familiar you are with glossybox but you have to cancel by the 15th of the month before or you are charged and sent the next months box. So you will likely receive this one. Also if you went through Paypal you are better off removing their charge abilities. 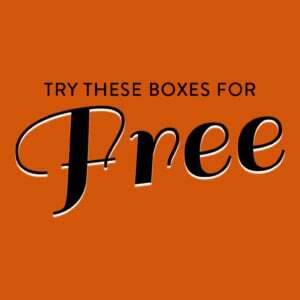 oh, I just cancelled today, so I will get the October box…..that’s ok.. and I don’t use paypal for my beauty boxes…. thanks for the info. This is the reason why I just signed up for Glossybox last week, hoping that they don’t send eyeshadow palettes, black eyeliner and dark colored lippy’s every month like Boxycharm does. I was going to cancel Boxycharm after I get my first BoxyLuxe box, but maybe I should keep Boxycharm in case I don’t like Glossybox. Tell me please anyone in California – are you being charged 23 a month? i have for the past two months. i got the last month refunded and they said oh sorry that was a mistake- NOW they say oh well you in CALIFORNIA and the shipping is more (i thought it was free shipping – hello?!) so i’m very confused and really annoyed. Please let me know if you are in CA and what you get charged currently. I live in California and I pay 22.73 each month. I just joined glossybox, getting my September box, in 2 days, then on to my October box, hope I like glossybox, hey gals, is this a good beauty box company? I do believe it depends on how many years you’ve been “doing” beauty subs. I took an annual sub to Glossybox when I was new to beauty stuff, and I loved it then. Now I’m probably more discriminating and jaded. Give it a few months and see if it works for you! I don’t like it very much and I have an annual subscription, so I’m stuck with it. Your idea of what is great for beauty also depends on what you want. I originally joined because I like both skincare and makeup, but I have been unimpressed by the brands in GlossyBox. As you can see from this box, you also don’t always get makeup. When you do, it’s usually not high end. 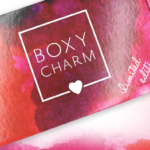 Most people recommend BoxyCharm if you want makeup, though I personally am one of the few that simply doesn’t dig them. I like Ipsy because it’s inexpensive and you get well-known brands, sometimes full-size items. 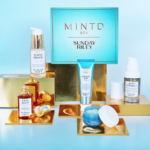 For skincare, I can’t praise BeautyFix enough. Not only do you get at least one full-size item, but the rewards system is fantastic. So at first it may seem pricey, but if you take full advantage of reviewing items and sharing on Facebook (you can share as “only me” if you don’t actually want to spam your friends), you can get a few dollars to spend on Dermstore.com. Reese: Thank you for mentioning Beautyfix’s reward system. I had no idea they had one. I’ve been on the fence about getting their boxes. I’m waiting on Ipsy Plus and seeing which subs I can cancel so I can afford Beautyfix. I think I’m a bit overloaded on makeup subs and having a skincare sub would be nice. No problem! I would say BeautyFix is the only one I never consider canceling. Not everything is my preference, but it all feels practical. This month, for example, the big ticket item is Glytone Ultra Softening Heel and Elbow Cream, which isn’t something I can say I’m “excited” about, but it’s $54 and I know it will come in handy for me because winters dry my skin out harshly. There’s also a full-size hair mask, which is always useful. Quite frankly, it’s nice to have products you can use up rather than add to the ever-growing collection! As far as points go, I have been subscribed since March and have redeemed $35 in rewards and already have another $25 I can use. I haven’t been perfect in my review/sharing habits, though. Judging by the rewards page, you could theoretically earn up to $14/30 days (though you have to redeem in $10, $15 or $20 increments) if you shared/reviewed as much as allowed. Thank you so much. I really appreciate your explanations. Do you have any social media I can contact you through privately if I had any more questions please? And when I sign up, I can use your referral link or credit you somehow? And you can contact me, all my socials are @ec408ec. I’m excited for this box. What scrunches are back in style? God I miss them they were great for not causing damage. I swear I had like 20 of them haha. I love, love, love rose toners, and Invisibobble works great for my coarse hair. Thinking of re-subbing here. Wish there was some deal – I’ll wait. Once a year or so, Glossybox does a warehouse-clearing sale, and there hasn’t been one in a very long time. Guess I’ll sit tight and watch. I cancelled last year and just re-subscribed again. The October box looks great. Happy with my decision so far. Is it easy to unsubscribe from that box? It was easy when I did it. I didn’t have any issues. You’re usually stuck getting the next months box too. Read the fine print. I think you have to cancel by the 15th of month before or you automatically receive the next month’s box. I’m really liking this one! I have not subscribed in a while because the boxes were getting a bit boring but this one seems nice love the candle and toner! I’m thinking the same thing…nice variety of new (to me) products…! I’m so disappointed I did a full year subscription to this. $17.50 compared to the $21 price seemed like a deal, but it’s honestly not even comparable to my $10 Ipsy. When you have Allure coming in cheaper, BoxyCharm costing the same and now Ipsy Plus? Glossybox seems like an awful joke. That Sprunchie….